Wat is dit voor site? Wij zoeken de goedkoopste boeken op internet. 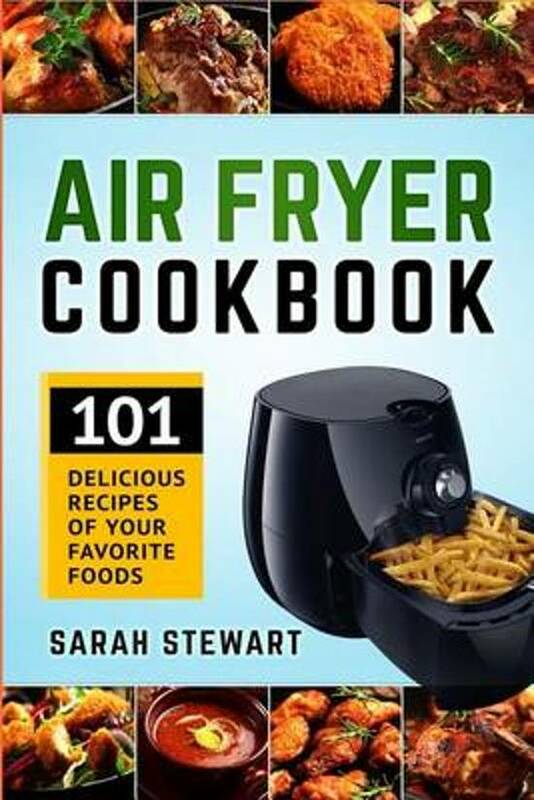 Air Fryer Cookbookvonden we het goedkoopst op Bol.com voor €0. We hebben gezocht in nieuwe en tweedehands boeken. Rechtsonderaan de pagina kan je het boek direct bestellen	via Bol	.com. Love the taste of fried chicken, French fries, and other greasy and crispy foods? Feeling down because you have to ditch these foods to worry about your health? With the Air Fryer, you are able to have the best of both worlds. Enjoy the taste of fried foods without all the extra grease and calories!The Air Fryer isn’t just for French fries anymore. With countless options for breakfast, lunch, dinner, and dessert, you are sure to find something that will hit your taste buds while helping to slim your waistline. Think options like Blueberry Muffins, Chocolate Brownies, Meatloaf, Salmon, and Blooming Onions all made in a few minutes with your air fryer!The air fryer is simple and easy to use. Just add in your ingredients and let the air fryer do the rest. It takes only minutes to add a home cooked meal to the table no matter how busy you are. The air fryer is a multi-purpose cooking machine which will whip up something fast no matter what you are in the mood for.• Enjoy recipes for all times of day. Feeling like a quick weekend breakfast? Need something for lunch? Having trouble getting the family to sit down to a quality meal? The air fryer can help. • Mix and match recipes. The air fryer makes it easy to make a big batch or cook two recipes together to save time. 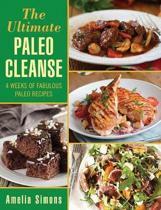 • Become a master in the kitchen. Even if you have little experience in the kitchen, the air fryer can make cooking easy. 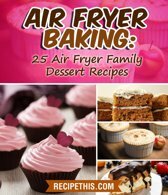 The Air Fryer Cookbook contains many recipes that will soon become your favorite including: Apple Fritters* French Toast* Bacon and Cheese Bread Bake* Chicken Kebabs* Turkey Meatloaf* Steak* Chocolate Brownies* Chocolate and Cherry Pound Cake.